This valued wild plant has probably been cultivated from neolithic times onwards and can still be found in the margins of cultivated land and on waysides. 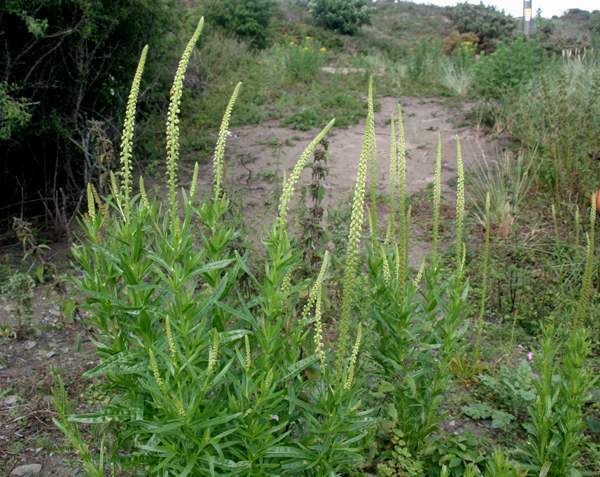 Weld is a biennial or perennial herb with short-stalked lanceolate alternate leaves. The tiny flowers usually have four pale-yellow petals and four sepals, and they occur in flower spikes typically 20cm long but exceptionally up to a metre. 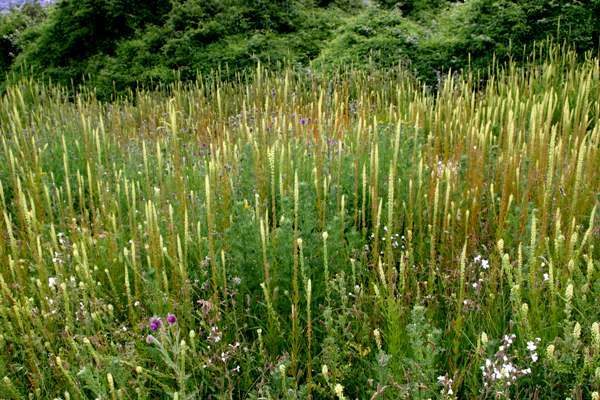 The flowers of Weld appear from June until August. Weld is widespread and fairly common throughout Britain and Ireland, although more so in the drier areas of the south and east. 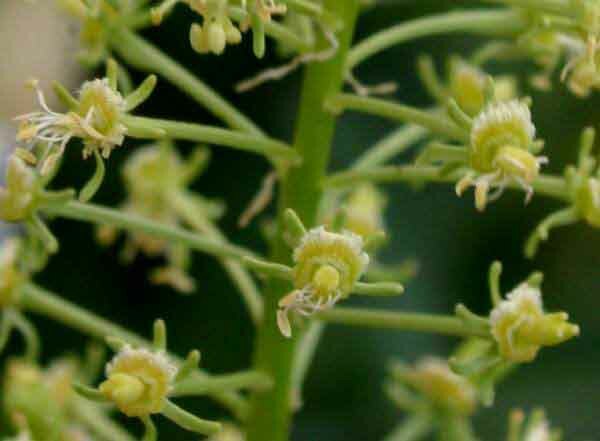 This plant is also known as Dyer's Rocket, because of the yellow flavone dye derived from it. The specimens shown here were photographed in Wales in July.